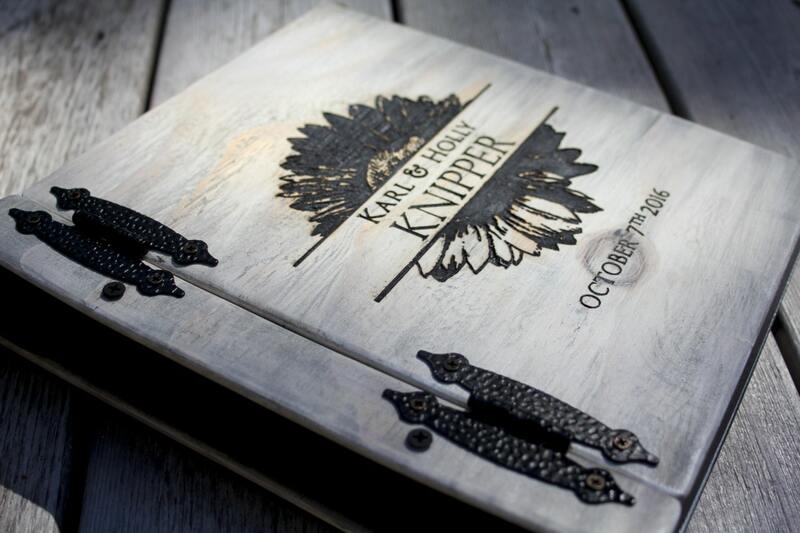 Custom handmade drift wood style wooden wedding album/ photo album with sunflower and monogram or personalized engraving. 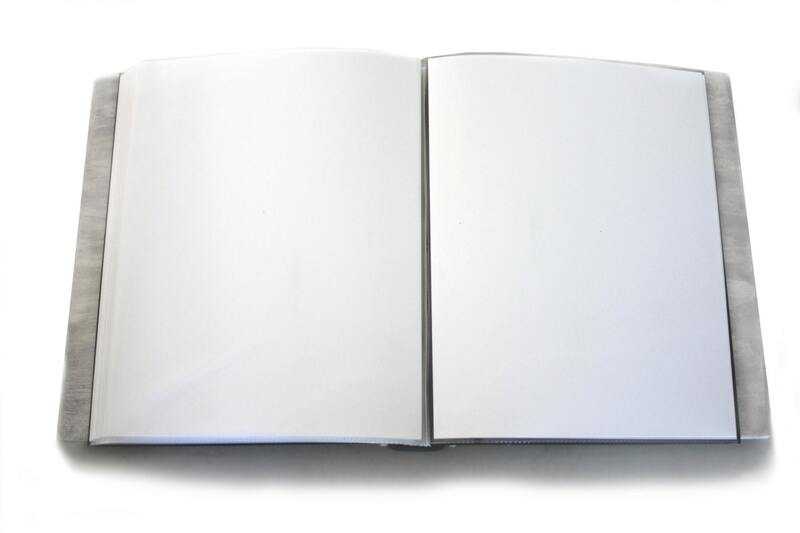 This book, along with most of the other books in my shop, is designed so that the pages lie flat when the book is opened and the spine is directed toward the surface the book is sitting on (this is not shown in the picture). 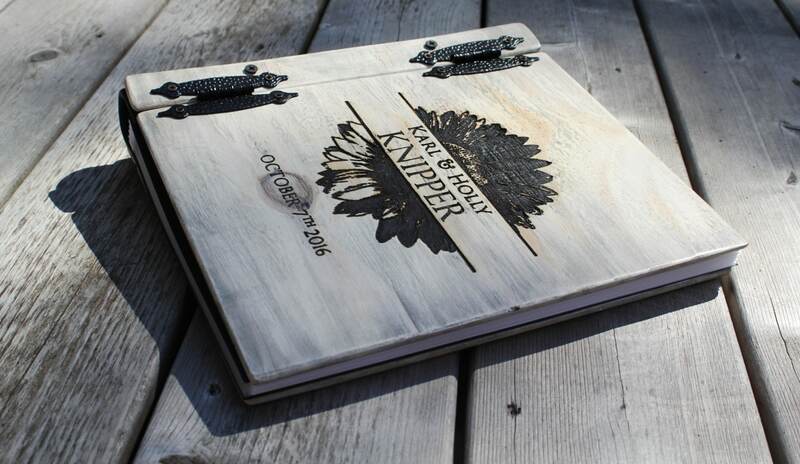 This handmade wooden wedding album is crafted to order from hand cut, sanded, and stained wooden sheets. Each piece of wood is carefully and artistically stained using a layering technique to give it a unique rustic driftwood (or "beach wood") look. 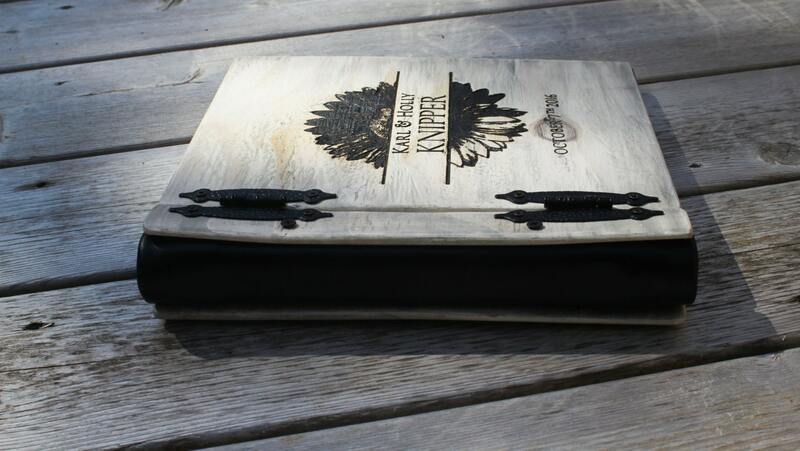 Genuine cowhide leather is rubbed with mink oil to bring out a nice leathery smell and is formed into the spine of the book. 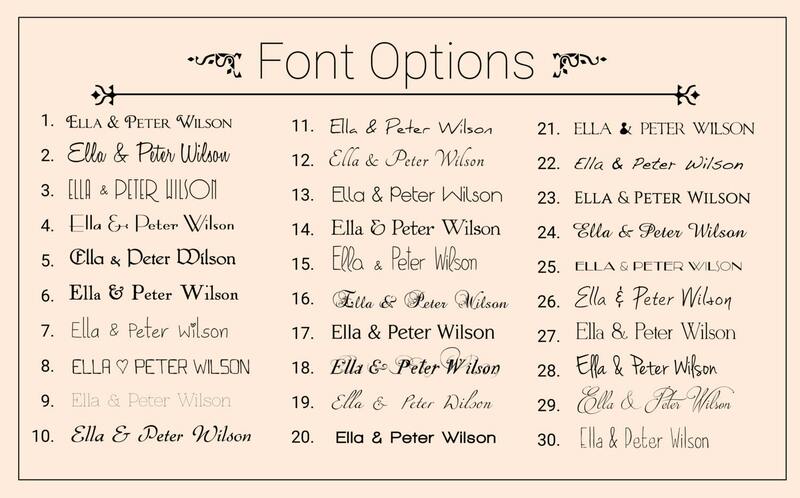 Once the book cover has been made, your custom engraving is laser engraved into it.